Leased office space now available near to Lexington’s New Circle Road. This center is a short drive to downtown amenities and to retail stores, hotel accommodation and to the Blue Grass Airport. This facility offers a high grade building with offices equipped with state of the art internet access and telephony including videoconferencing. The center offers great support services such as many administrative and secretarial services. This center offers workspaces in a shared office environment. Spaces enjoy great views and good natural light, and a conference room and break room are available for tenants. This address enjoys a strategic location on Main Street, close to many other businesses and amenities. The regional transport links allow easy and convenient access for both commuting tenants and professional visitors to the site. 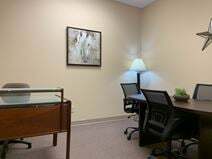 This premium location offers beautiful office space in the Lexington, Kentucky area. The professionally trained staff is available to assist you with all of your needs. A long list of amenities are offered at this location, separating them from the competition. Surrounded by a great neighborhood, this location offers premium office space in a peaceful location. Located 6 miles away from Coal Field Airport.